How Accountable is Canada to the Safety Of Its Military Personnel? When someone makes the decision to join the army, navy or any similar institution, they are doing so knowing that they are prepared to give their life to that institution, and in an effort to benefit their country. However, according to Canada’s Access to Information Act, every day, upwards of five individuals in the Canadian military community become victims of sexual assault or harassment. This is a very shocking statistic. Data shows that military police have received between 134 and 201 complaints of sexual assaults every year since 2000, which averages out to 178 per year. And statistics show it’s not just men who are the aggressors and women the victims. There are also cases describing groups of men who commit assaults against other men. Or women assaulting or harassing men. 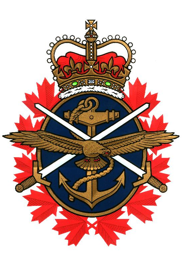 The latest story in the headlines involves a male Royal Canadian Naval officer claiming harassment and bullying, including actions taken by a female colleague, who urinated on his cabin floor on the supply vessel HMCS Preserver. This officer jumped ship, leaving his vessel, in September, 2012. He was court-martialed this week and pleaded guilty to desertion and was fined. However, his superiors announced they are launching an investigation into these claims. A superior said he doesn’t believe there is a “culture of harassment” in the navy, and also states that he’s is confident that there are systems are in place for people to report on any assault or harassment, or any other situation they find difficult. But the above statistic contradicts a harassment free culture. The military claims to protect its soldiers, yet victims of sexual assault are being ignored and women who speak out against their rapists are being punished. And a more troubling reality in Canada is that victims probably have more trouble within the military of getting help than outside of it getting help, because the military justice system operates differently than the civilian justice system. The Canadian military machine, and politics, needs to take note of the more proactive response from the US. President Obama has said, “for those who are in uniform who’ve experienced sexual assault, I want them to hear directly from their commander-in-chief that I’ve got their backs.” Canada’s politicians have not come forward as strongly. There is nothing comparable in Canada in terms of elected officials taking a stand for victims and addressing that it’s a serious problem. Canada needs to take a stand on this issue and protect our serving individuals who, in turn, are serving and protecting us. Where’s the accountability? We’re in the middle of the tenth annual Corporate Compliance and Ethics Week. What better way to participate than incorporating a strong compliance program, including a whistleblower hotline, that your employees can use to anonymously report any perceived wrongdoing 24/7/365.